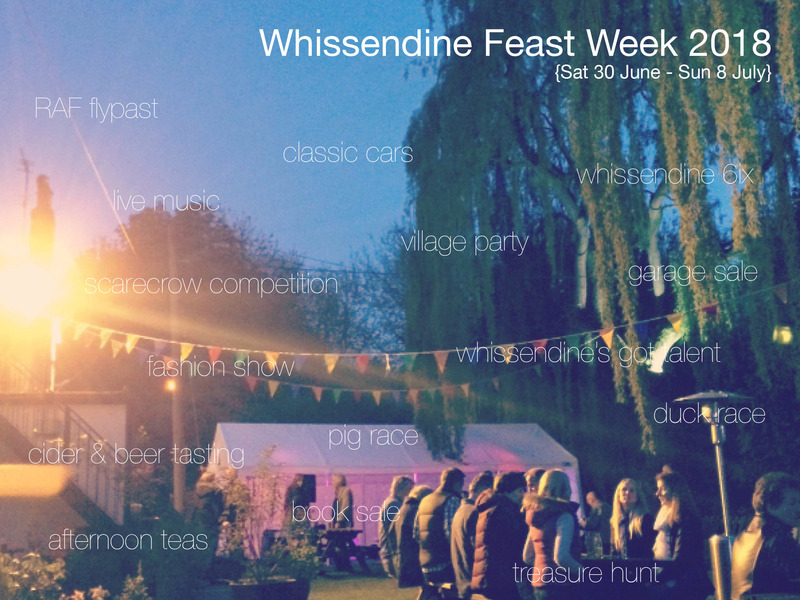 Each year in late June, Whissendine hosts Feast Week, an ancient custom with its origins in the Middle Ages that entails a week of activities for the village. Feast Week events in recent years have included a 6-mile run, a Feast Week extravaganza, the knockout, scarecrow contests and a fête on the village green. Whissendine FeastWeek committee would like to thank everyone that contributed to the planning of all the activities. A special thank you goes out to all those that have generously supported FeastWeek events. All funds raised and donations received are used to support the village. SAVE THE DATE FOR FEAST WEEK 2019: SATURDAY 29th JUNE to SUNDAY 7th JULY. If you are organising an event during Feast Week, please contact one of the Feast Week committee, before the end of April 2019, with details to ensure that it is included in the Feast Week programme that will be distributed around the village in the run up to Feast Week. Grantham Big Band @ Village Hall from 7pm. Enjoy big band swing music and song. Ticket details TBC. Big Quiz @White Lion Inn from 7pm. £2.50 per person. Classic Cars & Bikes @ Sports Club from 6:30pm. Come and see a fine collection of quality machines. Whissendine’s Got Talent @ Village Hall. Come and show off your talent. Music, Dancing, Juggling – all ages are welcome. 6:30 – 8pm. Brownies Sausage Sizzle @ The Green from 6.30pm. Enjoy a sizzling sausage whilst watching the runners go by. Whissendine 6ix Road Race from 7pm. Come and support your local hero. Fun Day @ Sports Club 10am. to 4pm.